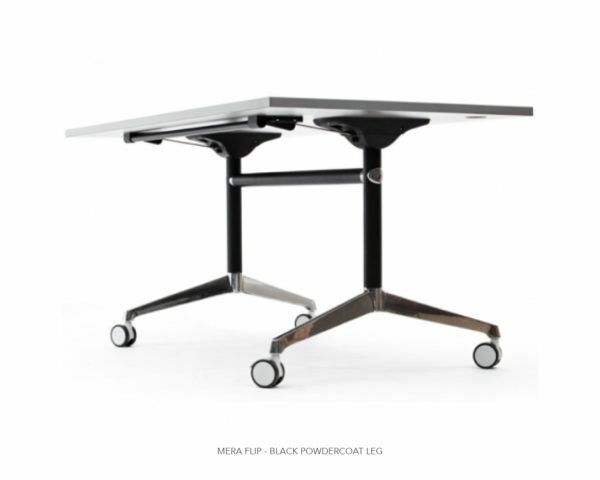 Industrial grade nylon mechanism includes vertical locking mechanism. 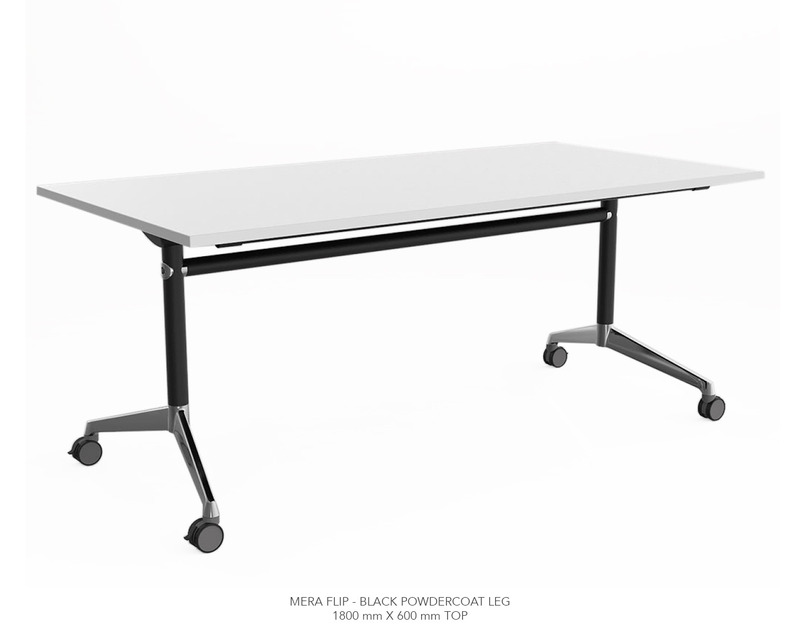 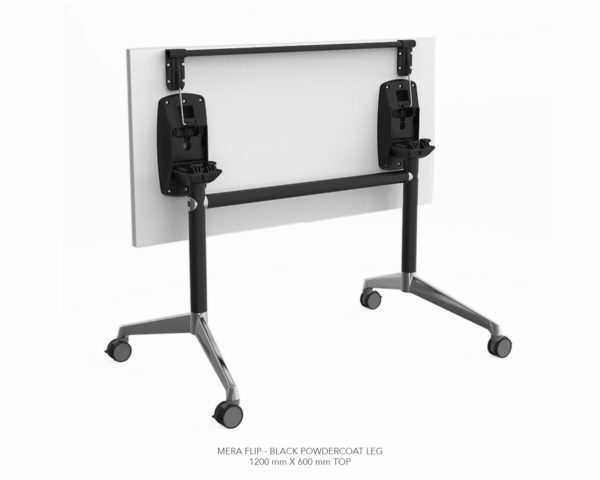 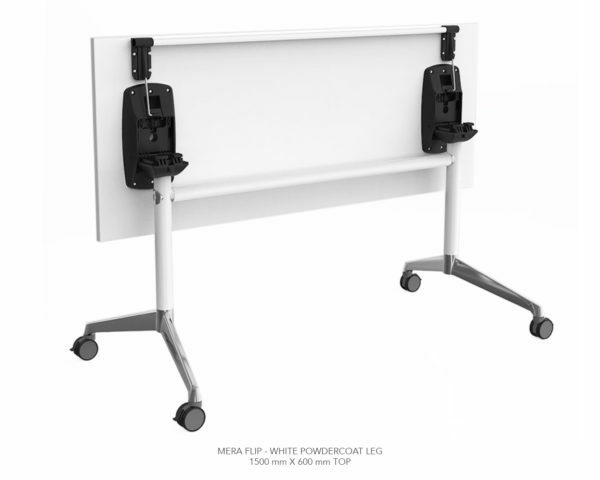 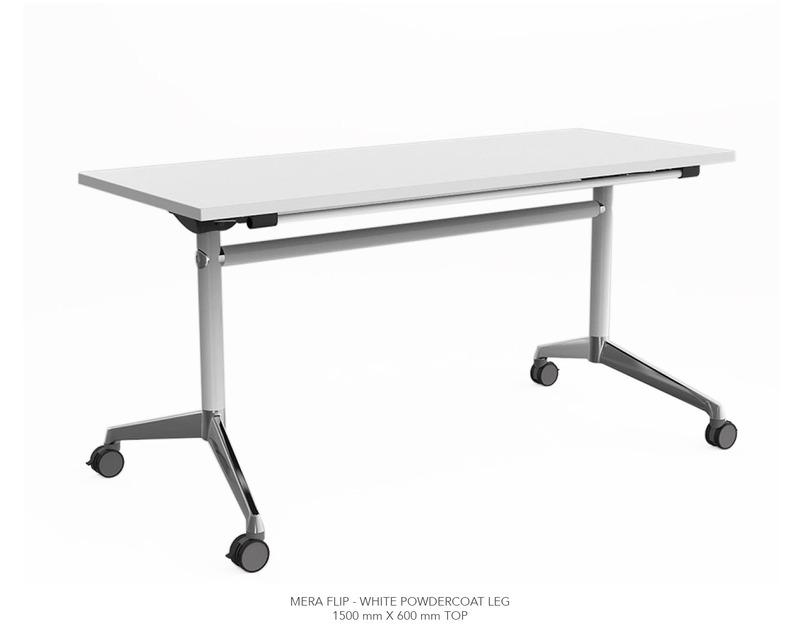 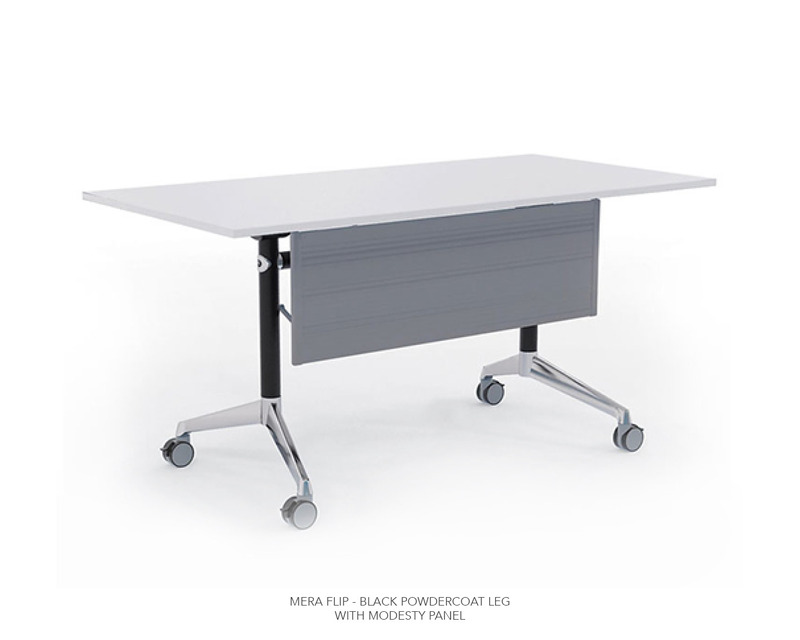 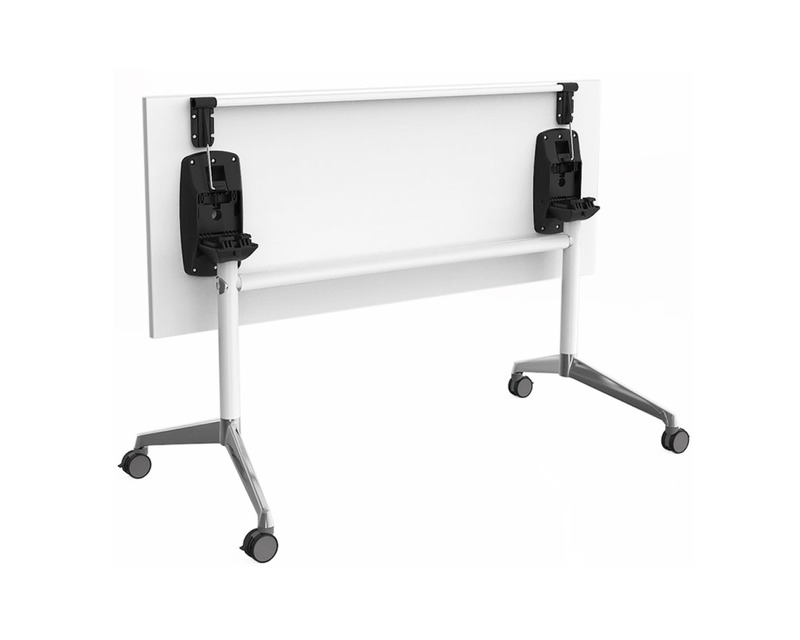 The Mera folding table is an AFRDI approved flip table that can be used in any combination creating endless opportunities for constructive interaction in training rooms and meeting rooms. 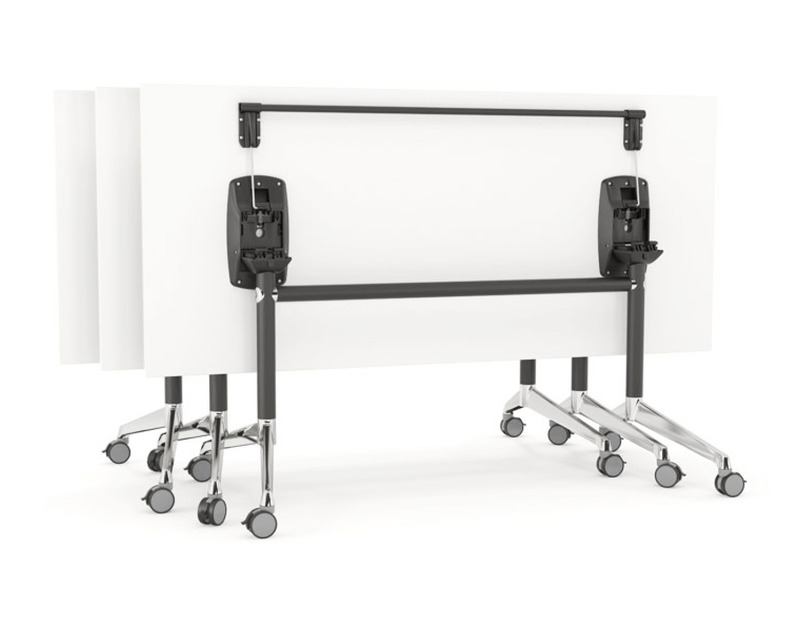 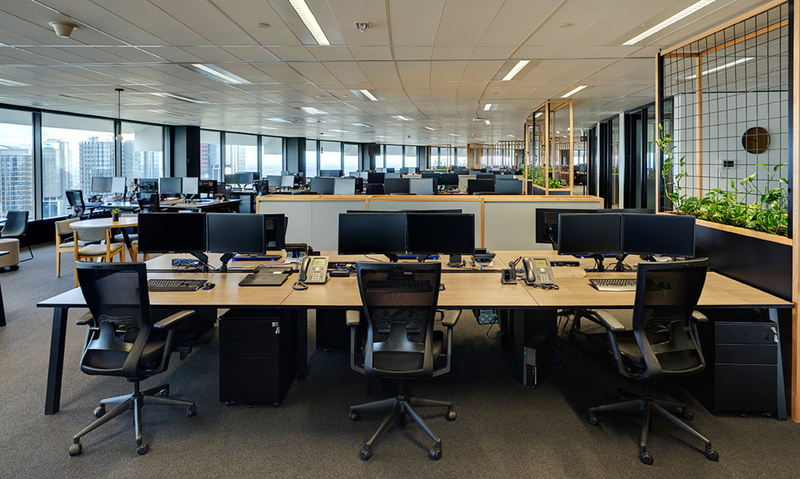 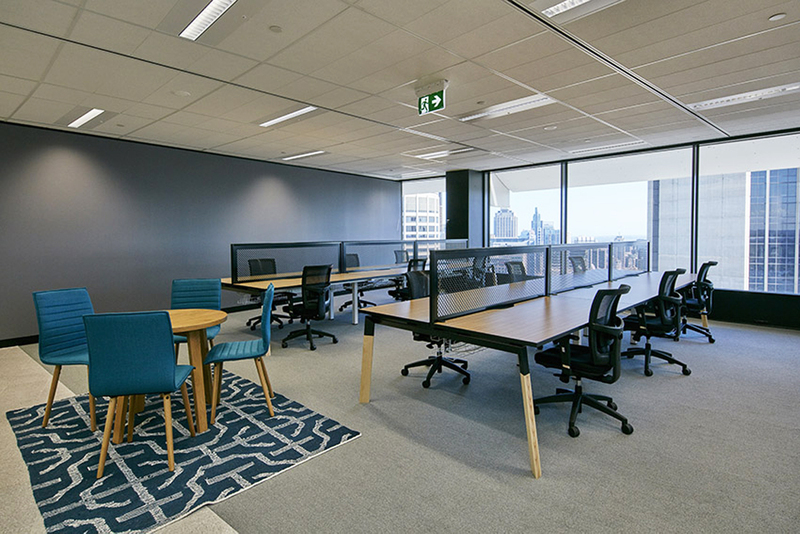 All flip tables come with durable locking castors to ensure they are easy to re-configure into new layouts.